State Troopers Superior Officers Assn. 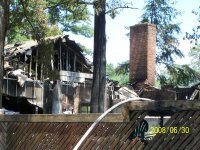 Continential Fire & Safety Inc. The Elwood Fire Company was called to Rt30 & Elwood rd at 5:25pm on Sept 18th for an MVA w/Landing Zone Assignment. 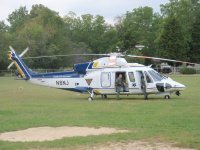 Engine 16-3 assisted at the MVA while Tanker 16-5 Landed the helicopter at the Mullica Twp School. All units were clear at 6:17pm. 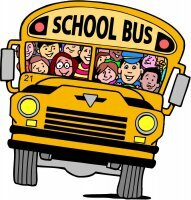 School is now open, so please be carefull. 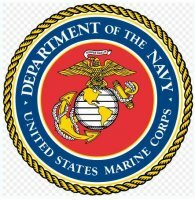 Joseph Haden is currently serving in The Marines. Joe graduated from fire rescue training at Goodfellow AFB on June 17th. He graduated with honors at the head of his class. Joe is Currently serving a two year stint in Japan. Joe is serving as a Marine Firefighter. 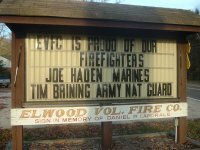 The Elwood Vol Fire Company is very proud for our Firefighters serving in the Military. 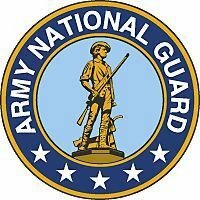 We are keeping them and their families in our payers as they serve. Thank you for protecting our freedom. 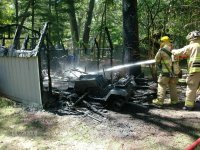 The Elwood Fire Company along with Sweetwater Fire Company were called to 433 Burdick ave for a shed fire on August 22 at 12:13pm. On arrival Chief Tomasco found it to be fully involved and called for a pumper from Hammonton. 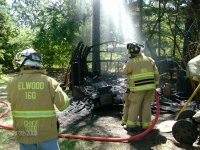 Engine 16-3 arrived and quickly extinguished the fire before it spread any further. All units were clear at 12:58pm. MULLICA TOWNSHIP - Seven weeks after a fire destroyed the Sweetwater Casino restaurant, owners Jeff Anastasi and Joe Cavalieri haven't seen any money from their $2 million insurance claim as they try to rebuild, Anastasi said. That's more then all 12 months of 2007. See Yearly Visitor Chart below.